Premium dark chocolate of strong flavor with nutty and woody tones. Premium dark chocolate bars with a different content of fine cocoa. Creamy organic chocolate bars with hints of vanilla and coconut. Premium chocolate bars with quinoa seeds, an Andean superfood. Creamy chocolate bars combined with a punch of orange essential oils. Fine chocolate bars with rich taste of figs and caramel. Unique dark chocolate bars with dehydrated golden berries. Dark chocolate bars with lemon verbena, a native plant of South America. Classic combination of mint with dark chocolate of amazing aroma. 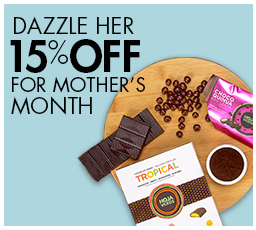 Premium chocolate bars of citric taste, inspired on a delish Ecuadorian drink. Dark chocolate bars of powerful taste and subtle floral notes.